If you are building a new home, you will need to select ductwork for the HVAC installation. 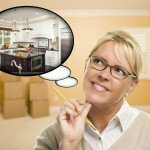 How Do I Know If My Ductwork Needs To Be Replaced? Your HVAC system gives subtle signs that the ductwork may need to be replaced. Original Home Construction Design Unfortunately, some homes in Florida are built with the least expensive options for the HVAC system, including the ductwork. In as little as 10 years, your ductwork begins to deteriorate. Higher Efficiency Alternatives As HVAC systems have evolved to be more energy efficient, ductwork has also changed over the years. We may recommend replacing your ductwork with a higher efficiency alternative to help reduce energy use. Incompatibility with HVAC Equipment The HVAC system and ductwork in your home must be compatible in capacity. When the ductwork is not replaced at the time of new HVAC system installation, your ductwork may not be designed to handle the capacity of the new equipment. Normal Wear and Tear Like other parts of your HVAC system, the ductwork has a limited lifetime. Distributing air throughout a residence is achieved by using several types of ductwork. Some home builders save money by using the natural design spaces in the home, such as what is found between the joists and studs. Although the air flow channel is tightly sealed, the friction of air flow against the wood reduces efficiency. And Services recommends that your home be fitted with high-efficiency ductwork to extend the life of your HVAC system and keep your utility costs within your budget. Contact And Services to schedule a professional evaluation of your ductwork and HVAC system.